I’m just going to come right out and say it: portion control is NOT mindful eating. OK, now let me press pause and say; I get where portion control might seem like a legit way to eat mindfully. It is because we more commonly associate ‘being mindful’ with ‘being careful’. If you look up the word ‘mindful’ in a thesaurus you will see that not only is ‘careful’ an associated word, but so are words like ‘cautious’, ‘apprehensive’, ‘vigilant’, and ‘wary’. To think about ‘eating mindfully’ in this way, suggests that food and eating has an element of danger about it. Therefore, it sort of makes sense that being ‘careful’ with our eating might look like controlling portions or ‘watching what I eat’. 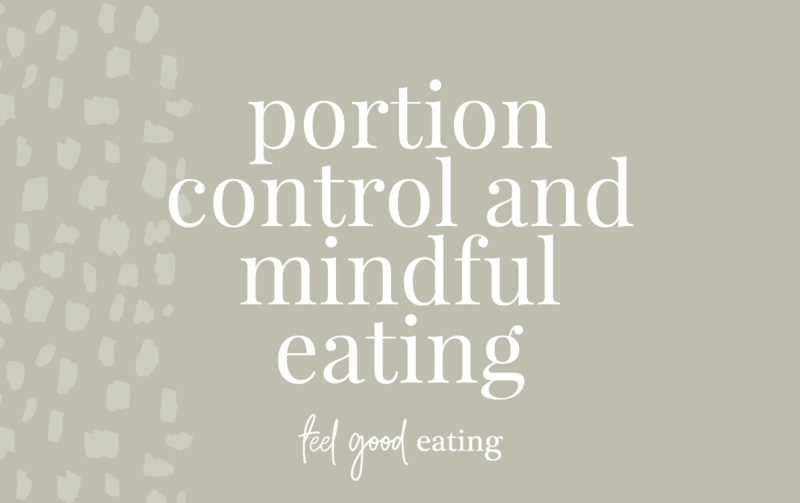 But when it comes to the true meaning of mindful eating, portion control just does not belong. 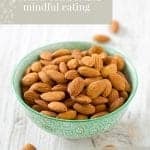 Mindful eating is about focusing our attention, on purpose, on the act of eating, without any judgement. It involves eating with awareness of our senses- our sight, sound, touch, taste and smell. And among other things, it involves bringing awareness to our internal physical signals of hunger and fullness to guide when we start and stop eating (i.e. tuning into hunger and honouring fullness). So, it is just laughable that portion control and mindful eating could be used in the same sentence. Unless of course, it is to say that they are incompatible with each other!! Controlling your portions puts you in a position that does not allow you to be mindful of what is going on in your body. It takes you out of your body and puts your focus and awareness on an external cue – the portion of food you have allocated yourself. Portion control says that the amount you have allocated is enough – too bad if you are still hungry. Portion control totally disregards internal cues of hunger and fullness. 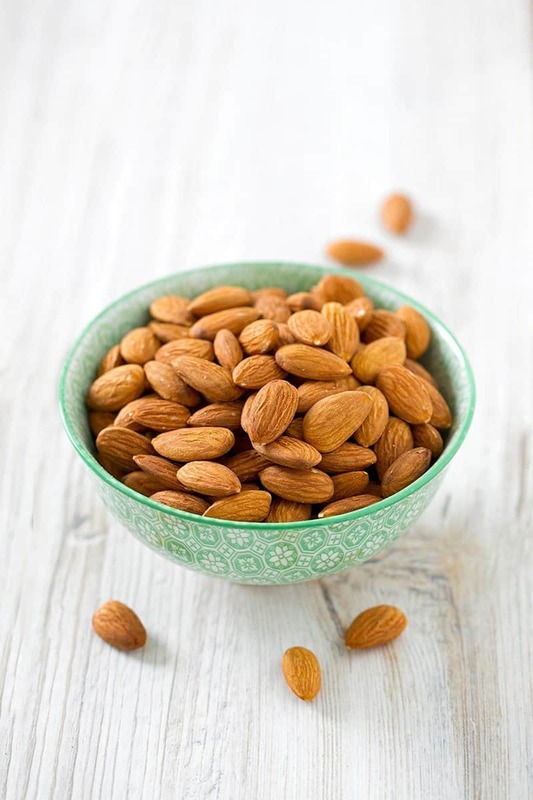 Portion control ultimately moves you away from being connected with your body. It is in direct opposition to the true meaning of mindful eating. Saying that portion control is a way to eat mindfully is diet culture in action – don’t be hoodwinked by it. totally get this – lovely definition of mindful eating. However – if someone has been habitually eating mindlessly whatever is on their plate, serving up smaller portions can help to kickstart the journey towards intuitive eating. It doesn’t mean they can’t go back for more if they are still hungry – in fact it encourages them to keep tuning into their body. A smaller portion also avoids that habitual ingrained ‘clean plate’ response that says waste must be avoided at all cost. Thanks Lesley! I definitely don’t see portioning out your meal, having seconds or portioning out leftovers to be in the same realm as diet culture’s version of portion control which implies that portions must always be small and there is no flexibility with changing states of hunger, preferences etc. I agree! If you’re mindfully eating, portion control should not be a thought popping up in your mind. Focusing on the taste and sensations as well as your hunger and fullness means that you’re free from judgment about the amount of food on your plate. Its hard to be mindful about how much food your body needs when you’re making portion sizes based on what diet culture is telling you is correct. Great post! Exactly – agree with everything you have said here Kara. Thank you! Such an important topic you’re shedding light on! 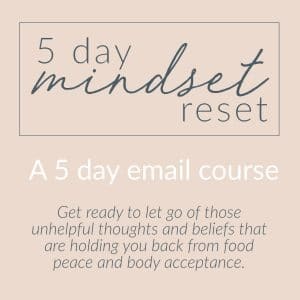 Such a hard phrase for some people to let go of, especially when it comes to the mindful eating piece of IE! Yes, I am finding that already with the comments and questions that have popped up after people have read the post.